Film Review: ‘Me Before You’! Bringing a book to screen can be tricky, especially when fans feel such a strong connection to the characters. 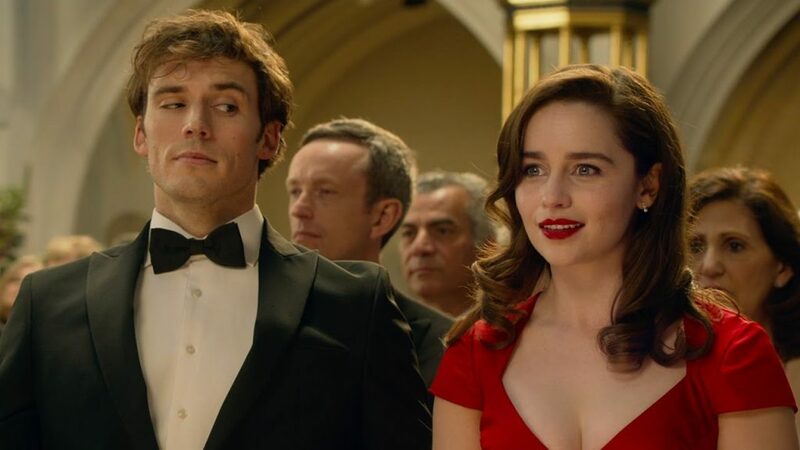 As a reviewer, I would be remiss to not mention that I was a huge fan of JoJo Moyes bestselling novel Me Before You and was excited, curious and a bit nervous to see how the book would translate to screen. I am happy to report that the film was everything I wanted it to be – perhaps this was a result of Moyes writing both. It is your typical love story of polar opposites who attract with a twist. Emilia Clarke (Game of Thrones) is cast perfectly as Lou Clark, an eternally optimistic small-town girl with an unusual fashion sense. Will Traynor (Sam Claflin, The Hunger Games) is a once fearless, wealthy, uber successful businessman who is now a quadriplegic confined to a wheelchair. The two are brought together when Lou, desperate to find a job to help her family make ends meet, becomes Will’s aid. Will, of course, wants nothing to do with Lou Clark and does not make her job easy. However, he (like the audience) cannot resist Clark’s charm and curiosity. As their relationship expands and grows, so does the viewer’s investment in their story. Will is determined to expand Clark’s limited repertoire and expose her to all of the wonderful things the world has to offer. We are taken on their emotional and visual journey, lush beaches and backgrounds, the symphony and a racetrack. The most memorable effects though result from Clark’s outfit choices, which often boggle the mind. The path to true love is never easy and these two have numerous obstacles to overcome. There is no shortage of supporting characters to elevate the story and enhance the character’s development and add layers to the story. Audience members who may not have been so “enthusiastic” about attending will be pleasantly surprised to see Charles Dance (Game of Thrones) as Will’s father. Neville Longbottom portrayer Matthew Lewis also has a role in the film. I vowed to keep this review spoiler free and as impartial as a fan of the book could make it. Director Thea Sharrock brings the cast of characters to life in ways that those who read Me Before You envision, and those who did not read it can still embrace. This is not by any means a film that will appeal to everyone. It is a date film, chick flick and mush fest. For fans of the book though, it is definitely your cup of tea. FOR FANS OF THE BOOK! Blu-ray Review: ‘Me Before You’! This entry was posted on Friday, June 3rd, 2016 at 3:46 pm	and is filed under Film, News. You can follow any responses to this entry through the RSS 2.0 feed. You can skip to the end and leave a response. Pinging is currently not allowed. « Anthony Hopkins Signs To The New ‘Transformers’ Movie??! !